We are very pleased to welcome Sonya Ovrutsky Fensome as the Director of the Steinert Piano Academy in Natick. Our students, of all ages, will benefit from her great talent and deep experience as a performer and music educator. 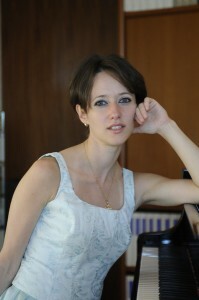 Sonya has taught piano in Spain, Russia, and the United States. In 2004 she founded the Main Line Music Academy in Ardmore, Pennsylvania, fulfilling her lifelong dream of creating a school dedicated to bringing the wonderful world of music to children of all ages. Now she is bringing this passion for teaching to the Steinert Piano Academy in Natick as we welcome students in our newly expanded performance and instructional studio. 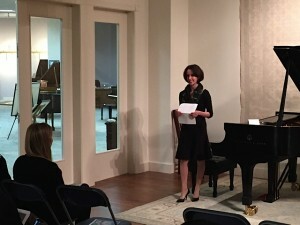 An internationally acclaimed concert pianist and music educator, Sonya is a graduate of the Julliard School of Music, and has performed in major concert venues across the United States and around the world, including Carnegie Hall, Lincoln Center, and the Aspen Music Festival in the U.S., and the Palace de Beaux Arts in Brussels, Lucerne Music Festival in Switzerland, Moscow Conservatory Hall, and concert halls in Madrid, Zaragoza, Barcelona, Rome, and South Africa. Sonya was performing in concert halls of Moscow and other cities in Russia. Ms.Ovrutsky regularly performs with her brother Mikhail, and has collaborated in concerts and master classes with Dorothy DeLay, Felix Galimir, David Kim, Robert McDuffie, Itzhak Perlman, Pinchas Zukerman, Richard Woodhams, Zakhar Bron, and Vladimir Spivakov. “Thanks for the wonderful evening. We enjoyed the performances immensely. I heard many, many performances of the Rach preludes. Your interpretation is refreshing, and your performance is second to none. Bravo! Our thanks also goes to Steinert & Sons company for nurturing/grooming the next generation of artists, and preserving the cultural tradition. 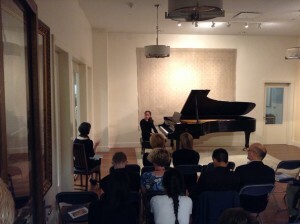 We enjoyed our stay at your store.” – Ning Jiang, Providence RI, a parent whose daughter recently participated in a master class conducted by Sonya at the Steinert Piano Academy. Click here to see Sonya in action!